Steer clear of politics, PDP cautions military – Royal Times of Nigeria. The Peoples Democratic Party (PDP) has called on the Nigerian military not to allow itself to be dragged into partisan politics, particularly the politics being played with the patriotic call by the Deputy President of the Senate, Senator Ike Ekweremadu to desist from endangering the nation’s democracy. The PDP, in a statement by its National Publicity Secretary, Kola Ologbodiyan, on Saturday said it had watched the full video of Senator Ekweremadu’s contribution on the floor of the Senate severally and saw nothing that could have warranted the statement issued by the Defence Headquarters on the matter. The party faulted the Defence Headquarter’s claim that Ekweremadu’s statement may appear cautionary and sincere in the atmosphere of discourse, it is however derogatory to the army used in the expression and by extension to the armed forces of Nigeria. 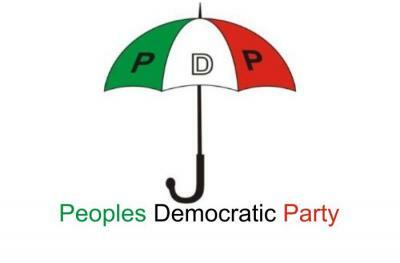 The party’s statement party reads: “The PDP holds the institution of the Nigerian military in high esteem and we advise that it should not allow itself to be dragged into desperate attempts by the failed APC administration to criminalize every contrary view or attempt to call it to order. “Nigerians are aware of the numerous flagrant disobedience to court orders by the APC-led administration as well as the harassment, arrest, detention and media trial of perceived political opponents of the government on the flimsiest trumped up charges, while established cases of corruption by the Presidency cabal are swept under the carpet. Nigerians saw when Senator Rabiu Kwankwaso was prevented from visiting his home state, Kano; how the house belonging to Senator Suleiman Hunkuyi was pulled down by an APC government in Kaduna State and how a meeting by Senator Shehu Sani and other politicians from the State, who have political disagreement with established APC interest was visited with horror. “They also watched with dismay as a full squadron of the police Special Anti-Robbery Squad (SARS) laid siege on the sacred ground of the court to arrest Senator Dino Melaye, who was arraigned by the police over his reported attempt on his life. “Senator Ekweremadu’s call therefore remains timely, patriotic and not inimical to the military or the nation, especially in the face of such violations and given the fact that he only reinforced the need to guard against actions that can scuttle our democracy as already raised by the Chief of Army Staff, Lt. Gen. Tukur Buratai in 2017. “Lt. Gen Buratai, in a statement issued by the Army Spokesman on May 16, 2017, raised an alarm that some persons were allegedly approaching some officers and soldiers for what he called ‘undisclosed political reasons’ and warned such persons to desist from these acts. “The PDP therefore finds nothing wrong with the call by Distinguished Senator Ekweremadu on our political leaders to guard the nation’s democracy jealously by imbibing the principles of democratic rule. We hold that our democracy and its attendant benefits must be of paramount interest to all citizens of our dear nation at all times. “Our military remains a respected institution and should not in anyway allow the APC to use its gimmick to drag it in into partisan politics.